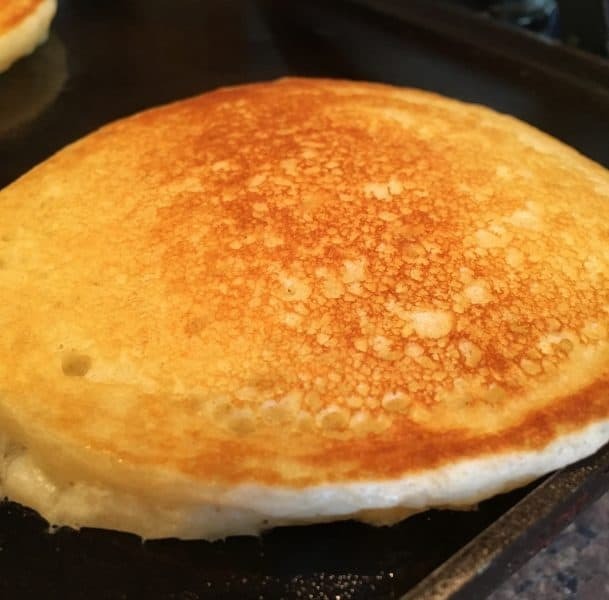 A light fluffy flat cake, aka: pancake, made from a rich creamy buttermilk batter and baked on a hot griddle. Also called flapjacks, griddlecakes, battercakes, hot cakes, or flannel cakes. 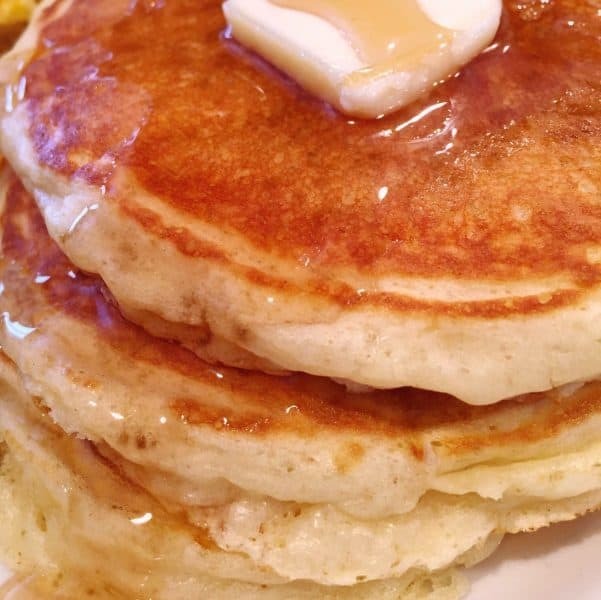 Around here…we just call them “Good ol’ Pancakes!” Really GOOD! 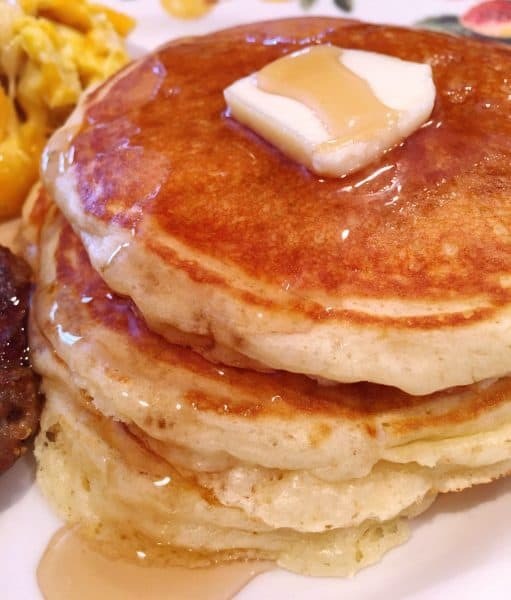 When it comes to breakfast…Pancakes are my personal favorite! So let’s get flipping those flapjacks! 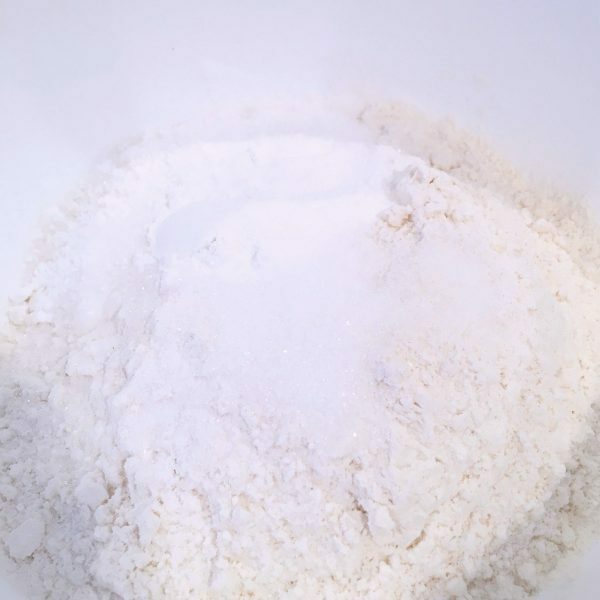 In a large bowl whisk together 3 Cups of Flour, 3 Tablespoons white sugar, 3 teaspoons baking powder, 1 1/2 teaspoons baking soda, 3/4 teaspoon salt. It’s important to whisk those ingredients together. 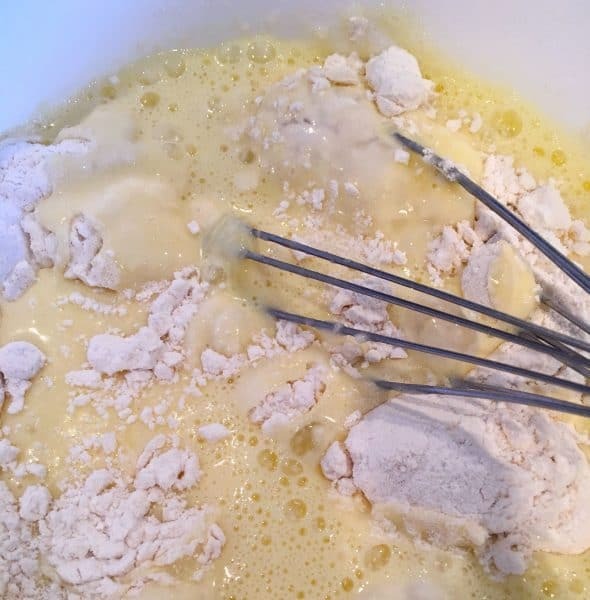 It’s like sifting and sifting flour creates a lighter flour which is what we want when making cake batter. These are, after all, PanCAKES! 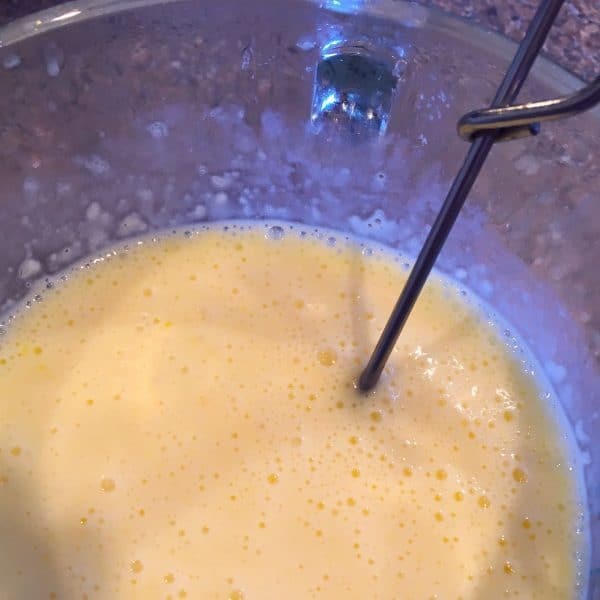 In a separate bowl, beat together buttermilk, milk (note you may need to add a little extra milk AFTER the batter is made), and eggs. *See tips in the recipe card for cutting this recipe in half. Now I took this photo especially for y’all! So stop… pause… and marvel at the beauty of….wait for it…BUTTER BALLS! 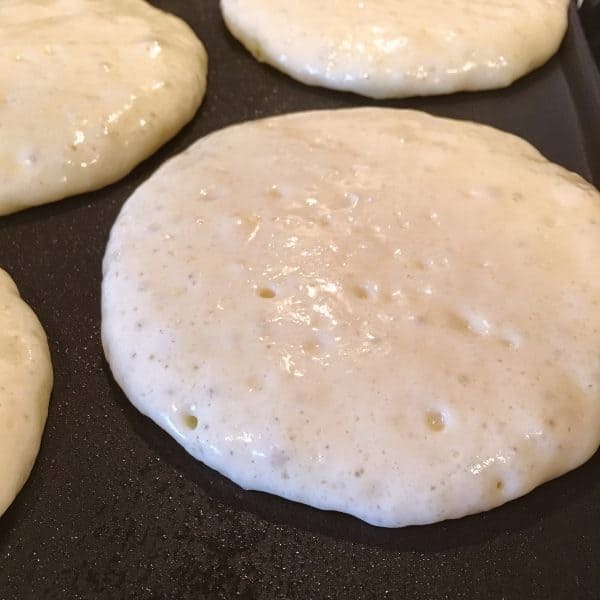 Yep those little congealed balls of butter are going to make the BEST BUTTERMILK PANCAKES that have ever entered past your lips and slapped your taste buds awake…even on a Saturday morning! Now this next step is also important. So pay attention friends! You now have two bowls of ingredients. One dry…one wet. When it comes to pancakes…and ONLY pancakes…we believe in segregation! We do not marry these two bowls together until the griddle is nice and hot and then…and ONLY then…do we introduce them to each other! Why? Because the minute that buttery buttermilk mixture hits the perfectly whisked ingredients…it’s going to activate the baking soda and baking powder, the other key ingredients that create the “Fluff” in these amazing fluffy pancakes. Heat up and lightly oil your griddle! It’s time to get flipping! When the griddle is hot…flick water across the surface and if it beads up and sizzles (kind of like me in the summer) It’s ready! NOW you can mix those two bowls together. See those bubbles…it happens almost instantly! Whisk until just blended. Do not over stir. See the air bubbles? 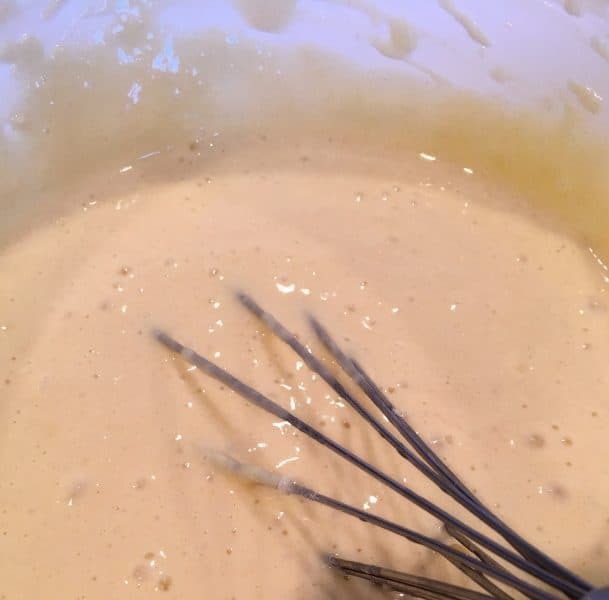 This is the Best Buttermilk Pancake Batter ever created! Flip that beautiful Buttermilk Pancake once it is golden brown. Aren’t those pretty? They taste even better. Keep dry and wet ingredients separate until ready to bake pancakes~No mixing it up early! Before I go I just want to point out one other thing…a good pancake ALWAYS has a an outer golden ring! Do you see it? That’s the sign of a great pancake! The buttery flavor of these Fluffy Buttermilk Pancakes is just one of the many things that make them a “stand out” among all the other “hot cakes”. This recipe truly combines all the best baking elements into one pile of fantastic flapjacks! If you really want to “up” your hot cake game you can toss some blueberries on top of each pancake as they are baking before flipping…you’ll have the BEST Blueberry Pancakes! Thanks for stopping by. These pancakes come together super quickly, about 25 minutes from start to finish! Add your favorite syrup, grab a fork, and let’s get this Pancake Party Started! 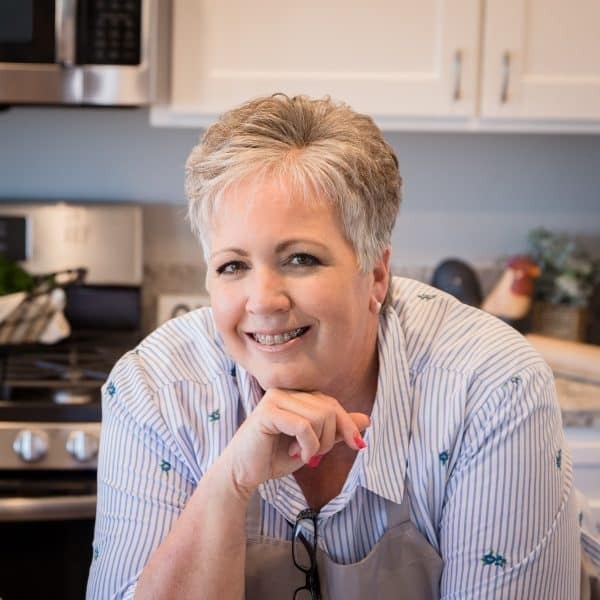 I’m sharing this family favorite over on Meal Plan Monday! 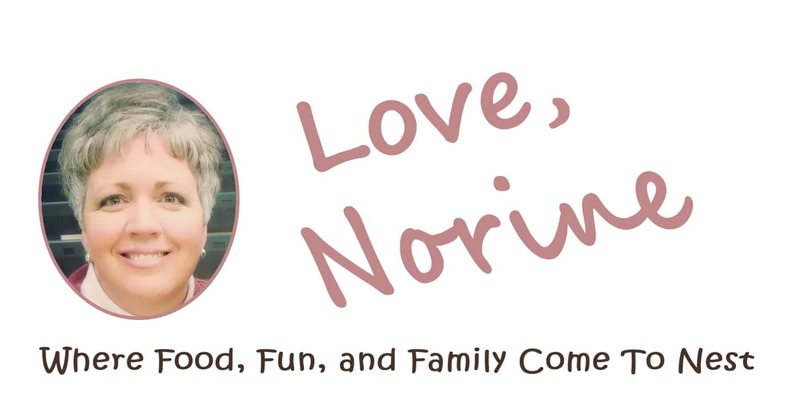 Click HERE to join our party! 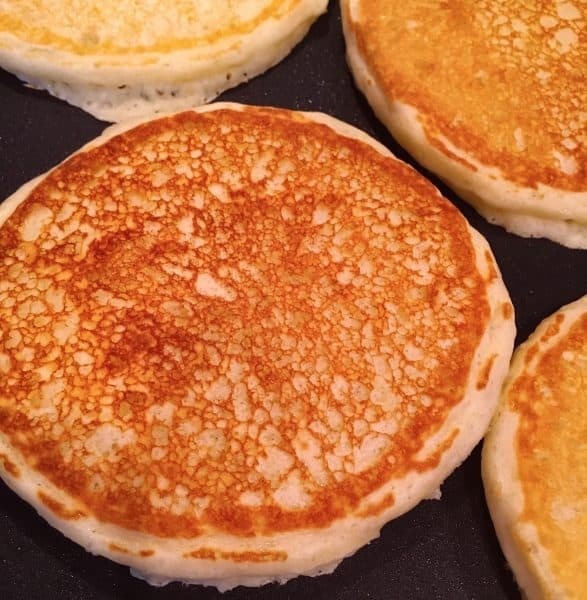 A very light and fluffy buttermilk pancake that makes the BEST Pancakes you'll ever have! 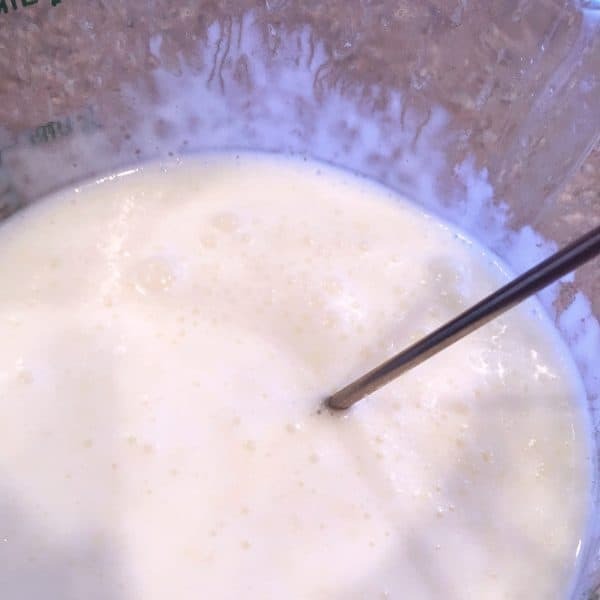 In a separate bowl, beat together buttermilk, milk, and eggs. In a separate microwave safe bowl, melt butter. 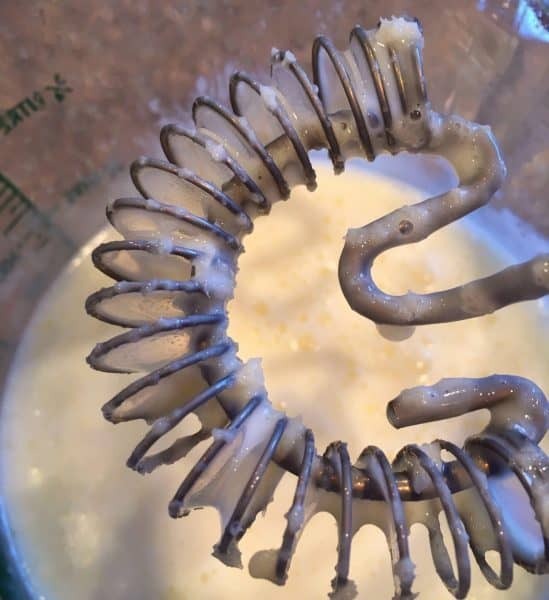 Using a whisk, drizzle melted butter into buttermilk mix, whisking quickly as mixing. Keep the two mixture separate until you are ready to cook. Heat a lightly oiled griddle or frying pan over medium high heat. Flick water across the surface...if it beads up and sizzles, it's ready for cooking. Pour wet mixture into the dry mixture. Mix until just combined. Do not over stir. Pour or scoop batter onto the hot griddle. This recipe can be cut in half by using two eggs and cutting all other ingredients in half. You’re family will LOVE these pancakes. They are so yummy! I can see them now…all over your kitchen floor and in two cute toddlers hair! 😉 It will go great with the bows! Thanks so much for stopping by! You’re the BEST! 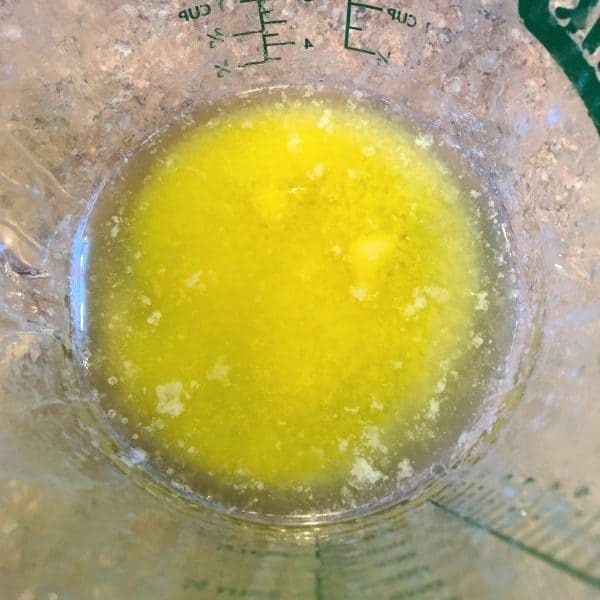 I use salted butter in everything I make unless otherwise stated in the recipe card. I’m a huge fan of salted butter. Don’t ask me why. Flavor…it’s always flavor. Thanks so much for stopping by and visiting with me. Hope your Nest loves these fluffy pancakes as much as the birds at my Nest do. I use salted butter in all my recipes unless I state otherwise. I’m just a huge fan of salted butter. It’s all about the flavor for me. lol Hope the chicks at your Nest love these fluffy pancakes as much as the chicks at this nest do. Have a Great week! I just made these wonderful pancakes this past weekend. They were very easy to make and so so delicious!!! I added blueberries to them and you are right— they just upped the deliciousness! The best part is that we have leftover mix for tonight. It makes a huge amount. Hope they are as good tonight. Thank you for your great recipe. I am going to make your cranberry bread recipe this week also. I enjoy your style of writing and your humor. Always fun and interesting to read! I’m so happy to hear you liked these pancakes! 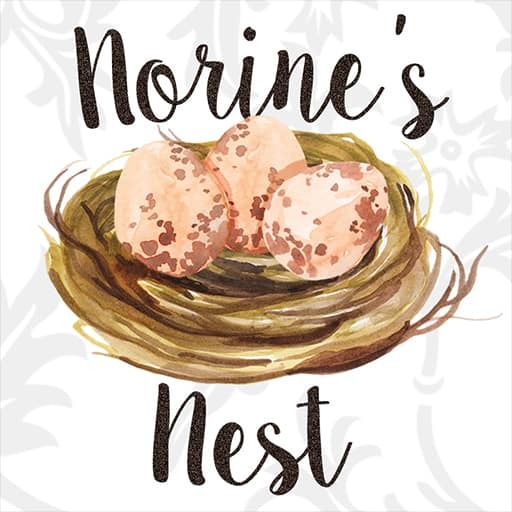 They’re a family favorite at this Nest! Oh and that Cranberry Bread…is the perfect treat this time of year! Thank you so much for your compliment on my writing style! I’m always in fear that when I die, and meet my former English teachers, they’re going to throw their heavenly dictionaries at me! All standard grammar rules go out the window with Blogging so…Your kind words mean the world to me! Have a wonderful week and a fantastic Holiday season!